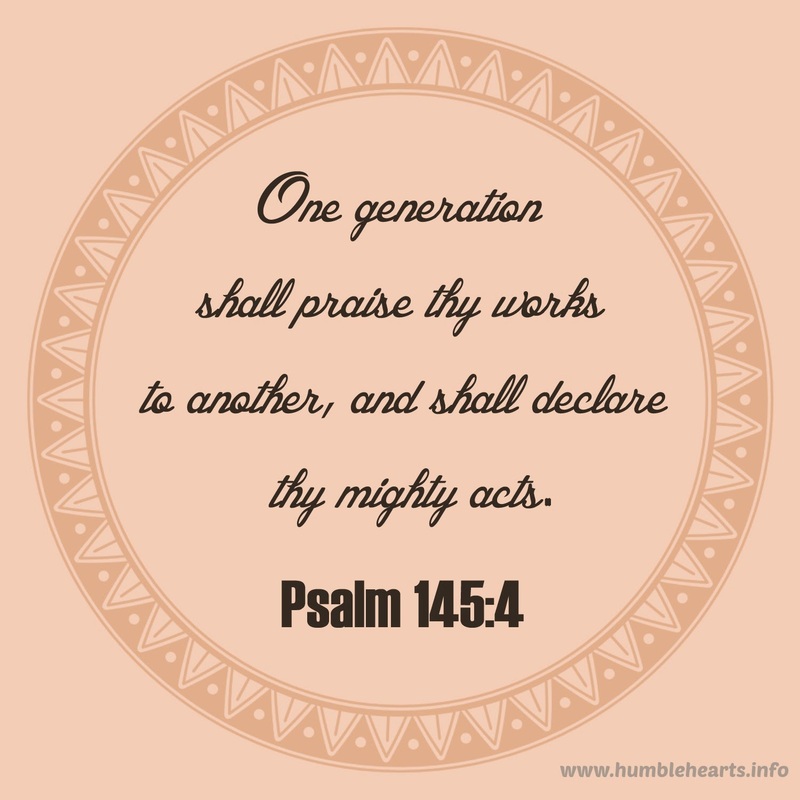 The verse for a parent's heart this month is Psalm 145:4. Psalm 78 also tells parents to declare God's mighty acts. As Christian parents today, we can look at this encouragement to parents in the Old Testament and make goals for what to teach and why to teach our children. Verse 4 says that they were to tell their children of God's 1. glorious deeds 2. His might 3. wonders He has done. 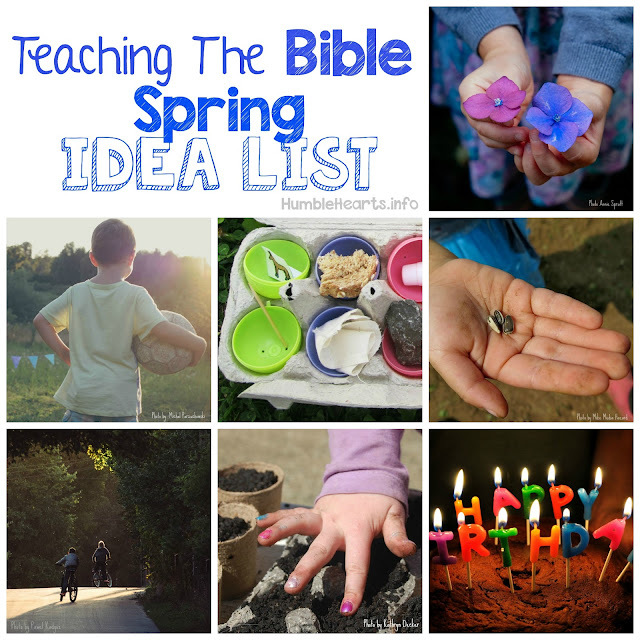 I can look for examples in the Bible to teach my children of God's glorious deeds, His might, and wonders He has done. I can also point out to my child in daily life situations glorious deeds, God's might, and wonders He has done. Verse 7 talks about children setting their hope in God and not forgetting the works of God. This is a beautiful goal that I can have for my children. Psalm 78 goes on to talk about people that, as verse 8 puts it, "whose heart was not steadfast, whose spirit was not faithful to God." We can learn from this example of what not to do. We can constantly remind ourselves and our children of God's power. As Christian parents, not only can we teach our children of God's might demonstrated in the Old Testament, we can teach our children of God's power demonstrated in raising Jesus Christ from the dead. In the spring we celebrate the Resurrection of Jesus Christ and the day of Pentecost. These are wonderful opportunities to speak of God's power and might to our children. Once again I am reminded of the wonderful privilege of being a Christian parent. As I teach my children, I am reminded for my own life of God's power and might. I can set my hope in God, and my heart can be steadfast.